Here’s a link to read the first 50 pages of my latest novel for free! A gorgeous review from BookishJottings – thank you! 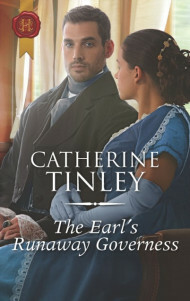 Catherine Tinley won the RITA award, the most prestigious award in romance writing, earlier this year with her first novel, Waltzing with the Earl and her star continues to rise with every book she writes. With her third novel, The Makings of a Lady, this outstanding storyteller has penned a captivating, poignant and enchanting historical romance that is bound to win her more accolades and reader and critical acclaim. I’ve recently returned home from #RWA18 – The Romance Writers of America annual conference. What a wonderful event! Almost 2000 delegates, plus RWA staff, and associates including publishers, editors, marketing experts, and agents. I confess, the fact that Waltzing with the Earl was a double finalist in the awards was the motivation for me to be brave and fly to Denver, Colorado from Ireland. I didn’t know any of the writers who would be there, had no roommate, and hadn’t travelled to the USA since 1993. The workshops were amazing – I learned so much! The AGM was really interesting – I totally agree that we need to ensure diversity in the genre, and that we need to continually find the most effective ways of supporting all romance writers – including unpublished writers. Along with all the other RITA® finalists, I was treated like royalty all week! People were constantly spotting my silver RITA pins and ‘RITA Finalist 2018‘ badge, and congratulating me. It was just wonderful. On the Wednesday I attended a special reception for the RITA and Golden Heart finalists. [The Golden Heart awards are for unpublished writers.] We all got special certificates to recognise our achievement. I buddied up with two other RITA finalists – Kelly Bowen and Kait Nolan. We were all in different categories. That evening, there was a free party – Harlequin were launching a new initiative called ReadBliss – an online video forum for all things Romance. It isn’t yet live, but it sounds exciting! They videoed us answering a series of questions about romance – should be interesting to see when it’s all edited together. At the party, as well as food, drink, and lots of chat, they had a Wheel of Fortune to win Read Bliss goodies, and two therapists were on hand offering free massages! On to Thursday, and the Harlequin book signing. I met lots of other Harlequin Historical authors for breakfast, and just before the signing we did two facebook live videos, which was great fun! At 3pm we had the rehearsal for the RITA awards ceremony. We managed to grab a quick photo with most of the finalists in my category (Historical Romance – short). They had told us all to prepare a speech but I don’t think any of us were even thinking about who might win – being a finalist was awesome enough already! It was now 4pm, and I had to be at the Harlequin drinks reception by six. So being smart (or so I thought), I had booked an appointment at a local hairdressers, feeling that going to a major awards ceremony as a finalist justified the treat! Unfortunately, I was just getting my hair washed when the fire alarm went off! My hairdresser rinsed off the conditioner quickly, then we all stood in the street for twenty minutes while the Denver Fire Department checked the building. Eventually we got the all clear, but by the time I was done I was a) late and b) unhappy with what the hairdresser had done. I’m not particularly fussy, but honestly, I’d done a better job when I’d blow-dried my own hair the day before. So there I was, stressed and rushing. I got back to the hotel at 6:05pm, and of course the foyer was full of beautiful women in gorgeous evening dresses! I slunk upstairs, and got ready in double quick time. Dress, necklace, a little make-up, stuck a fancy clip in my hair to disguise the mess, then the shoes. Or, more accurately, stilts. I took a deep breath and headed downstairs, my roommate Karen with me as my plus one. It was 6:15pm. Time for the RITAs ceremony!